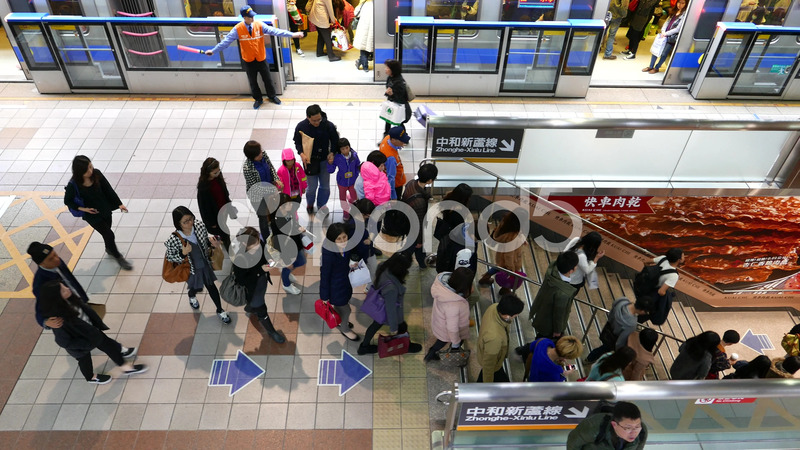 Description: General view, metro platform, train doors closing, passengers crowd flows down by staircase. Ultra modern Taipei Rapid Transit System. Panning camera, follows the people mass movement. View from the top, down to lower level of the interchange station. Includes original sound.